Jon Jones will be granted an immediate title shot against champion Daniel Cormier at UFC 214 on July 29 if he’s ready to accept the challenge. That’s the word from UFC president Dana White, who says he’s ready to pull the trigger on the Jones vs. Cormier rematch for the upcoming card in Anaheim, but it all depends on the former champion accepting the fight. “Cormier is available to fight on July 8, but that time frame doesn’t work for Jon Jones,” White told ESPN. “Cormier already told me he’s willing to fight either Jones or [Jimi] Manuwa. 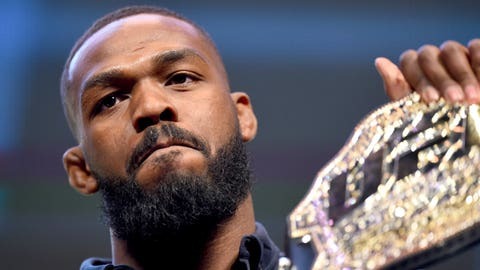 Jones has been out of action since last April when he won a unanimous decision against Ovince Saint Preux to claim the interim light heavyweight title. He was later stripped of the belt when Jones tested positive for a banned substance ahead of UFC 200, which forced him out of his previously scheduled rematch with Cormier. Jones was punished with a one-year suspension for the incident but he will be eligible to return to action in July. 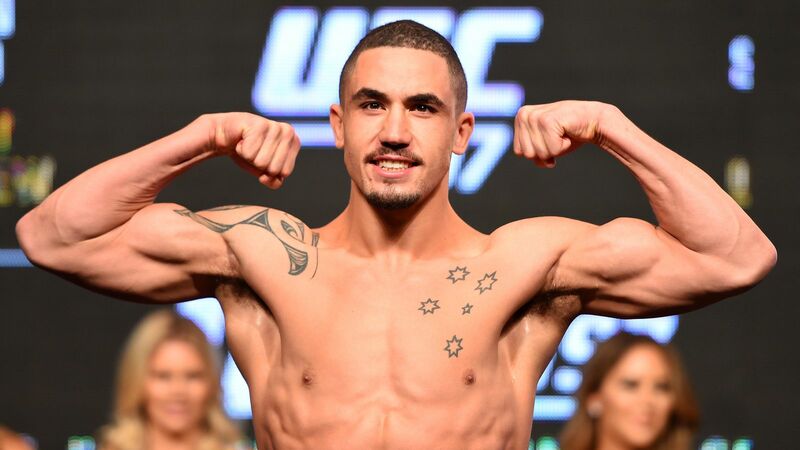 The former champion has expressed interest in facing Cormier immediately but has also hinted at taking a tune-up fight after sitting out for the past year. 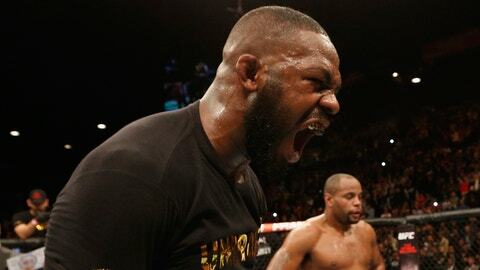 White later stated that if Jones isn’t willing to accept the rematch with Cormier on July 29 then the UFC is ready to grant heavy-handed British slugger Jimi Manuwa the shot instead. Cormier and Manuwa have gone back and forth in a war of words over social media with the light heavyweight champion also telling FOX Sports that he would make short work of the 37-year-old veteran if they step into the Octagon together. “Jimi needs to calm down. Jimi needs to quiet down before he gets it. Jimi needs to shut his mouth before he gets what he’s asking for and when he gets what he’s asking for it’s very unpleasant,” Cormier said.